Earl Fee is a racing icon, a legend, who has more world records than any other living racer and who, at 90, plans to compete at the World Master’s Games in Poland this March. It is extraordinary to announce that Mr. Fee will now take on the mantle of iRun Advice Columnist, so that if you have any questions about running, life, training, psychology, recovery, endurance or anything else that a runner might ponder, send your questions to his assistant, Ben Kaplan, at Ben@iRun.ca, and we’ll get them to Mr. Fee. In the meantime, here’s a Q&A that we conducted recently with the GOAT (greatest of all-time) to get you focusing on running hacks and concerns. Ask anything, Earl knows all. iRun: You’re going to be 90-years-old when you arrive in Poland. What can you possibly be competing in? Fee: I’m planning to break a couple records there, particularly in the 400m and the 800-metre races. If I have enough energy I might also try for the 200-metre record on the last day. iRun: That’ll be a game-time decision? Free: Yeah. The events are very close together and there might be some problems with my legs or whatever. iRun: You don’t sound overly concerned. How are you feeling? Free: I’m feeling pretty good. I can probably break some of those records today. iRun: No aches or pains or nagging injuries? Fee: Well, I hit a problem a week ago. I was taking dance lessons and this particular move did something to my knee, so I’ve been resting for a week. I think maybe I’ll stop the dancing until I get back from Poland. iRun: What kind of dancing? iRun: What is the secret to your extraordinary life? Fee: I don’t think there’s a secret. Running tires out your legs so to go dancing after running isn’t a good idea. Common sense might be part of my racing plans. When I have problems with my hip, I go to the chiropractor. Running curves on the track puts you out of balance, but I’m doing very well. I can’t complain. iRun: How often do you run? Fee: I don’t overdo things. I run three times a week, mainly on a track near my home. I don’t run outside. It’s too hard on the knees, running on the roads. iRun: I bet 90% of our audience runs on the roads. Fee: The marathon people, most of the runners, have to run on the roads—they’re stuck with that. I like to run on the track, it’s a little softer, or run on the trails. iRun: So what should we do? Fee: Run half on the road and right afterwards, run in the water. Save your legs; running in the water requires the same exact effort. iRun: That’s a good tip. Fee: It’s in one of my running books, How to Be a Champion from 9-90. I’ve written five books, including books of poetry. My autobiography will be out in a few weeks actually, Tell Well. iRun: Everyone reading this article—buy Earl’s books! iRun: You’re going to be our advice columnist and that’s very exciting. What other tidbit of advice could you offer before the questions start rolling in? Fee: A lot of the shoes now have heels that are lowered. To me, that’s not good. It makes the arch collapse. I put an insert in my shoe to raise the heel, this prevents the arch from collapsing and could help prevent plantar fasciitis. iRun: Do you have a favourite shoe brand? Fee: I mainly like Asics, but I think it doesn’t matter too much as long as they’re comfortable. I like a light shoe that’s not too stiff. The real stiff ones are heavier. If you’re wearing orthotics on top of that, it can effect your speed—like an extra three ounces. iRun: What do you like about running? Fee: The feeling of freedom. Fee: With my running, I meet a lot of nice running friends, and there’s also the compliments you get when you’re running well. Some people don’t admit it, but the accolades give me incentive to keep going. iRun: Do you find running hard work? Fee: Some of the intense intervals are hard work but I like the results. iRun: I can’t believe you’re 89-years-old and running intense intervals. Fee: Interval training improves speed. iRun: Aren’t you afraid you’ll get hurt? Fee: If you want to be courageous, pretend to have courage. The mind is often an athletes weakest link. iRun: So what’s an Earl Fee workout actually look like? Fee: I’ll run 400 metres at race pace, then walk 70 metres, and repeat. That’s a good workout, so I do that and take a short rest, maybe 60 seconds, and then run 200 metres faster than my 800 metre pace. Then, jog for half a mile, but the key thing is, and here’s more advice: I always do this after warming up on the bike for 10 minutes, then stretching, then running half a mile easy. Then I’ll do my workout, then run a few laps and stretch again. (And sometimes I’ll do short or long strides to loosen up the body). iRun: I don’t do any of those things. Fee: They’re important, as if the cool down. I notice this also with weight training. Most people don’t do any warm-ups before, and that’s a mistake. Warm up the body, jog and stretch, it’s important for the muscles. There’s little things we can all do to make our running much easier. iRun: What’s your favourite stretch? Fee: Leg swings. They loosen up the hips. iRun: How many records do you have? Fee: 56 world records. This is since 1987.
iRun: You should’ve started in 1977, you would’ve had 75 world records by now. Fee: Maybe, or else maybe by having a long rest of 30 years which I did after university I saved my knees. And also my enthusiasm. To keep going for 50 years, you have to have enthusiasm. iRun: I think maybe you need enthusiasm to do anything. Fee: You’re probably right. Running has added to my longevity, for sure, and exercise will make you live longer. 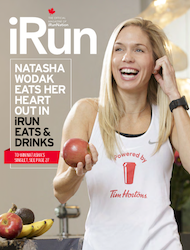 iRun: What should runners know about you as our new advice columnist? Fee: I’m happy to help out and offer runners my thoughts but I don’t want to go back and forth with people. They can ask a question, I’ll answer, but then it’s up to them to take it from there. Fee: I give my opinion and that’s it. 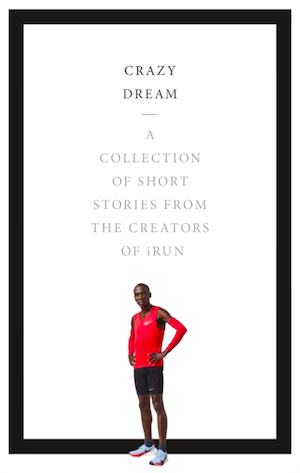 To ask Earl Fee a question, regarding anything, email Ben Kaplan at Ben@iRun.ca, and he’ll give you a response. Photograph by Tyler Anderson. Next articleWhat’s the Deal with Running Underwear, and Does Such a Thing Actually Work?